Apologies that it's been a couple of weeks since I last blogged. I've been feeling abit off colour and had a few relapses with my M.E. then my hospital appointment that I'd been waiting for was cancelled due to my specialist nurse being ill so I was gutted. These things happen I understand but I'd banked on getting my results after the tests I'd had in September. Anyway I go this Wednesday. I thought it was time I got cracking and made a few more xmas cards. Here's a card I've made today using my new Indigo blu stamps. I ordered a lucky dip indigo blu bag from Hochanda for £25 (the contents were worth £85) and wow was I impressed. See my pictures below. I also bought a trailing flower bush so I could use my £10 voucher too. Bargains. Thanks for popping to see me. Beautiful creation Debbie, always love Christmas wreaths. Good luck with the appointment, no fun when they cancel. Great set of goodies! Bargain!! 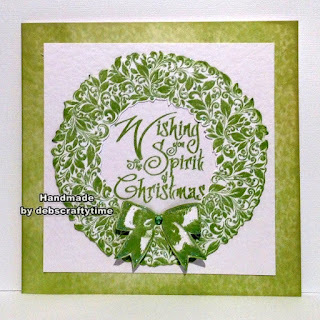 Thanks for sharing this lovely Christmas Card at Stamping Sensations. Hi Debbie, this is a beautiful card. I love the green colour combination and your card design is really striking. 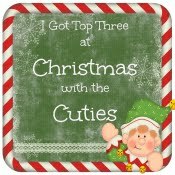 Thank you for joining us this time at ABC Christmas Challenge. Your card is very beautiful Debbie. I love the CAS design. Thank you for joining us at The Paper Shelter. We would love to see you again! Simply beautiful! A great entry for our Christmas Greetings challenge. 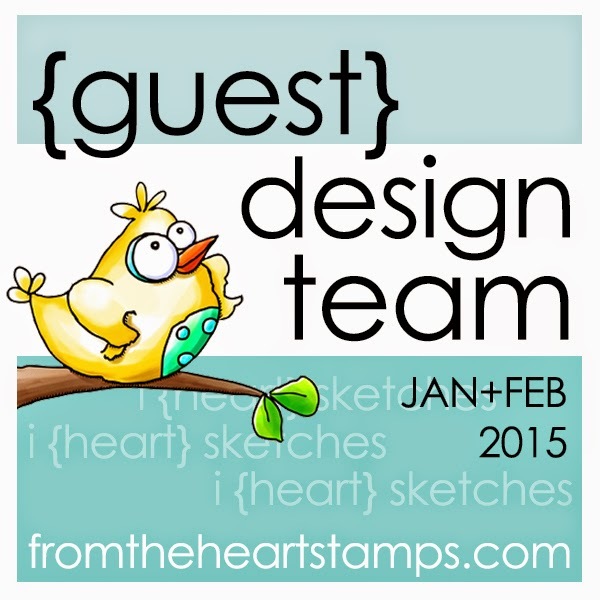 Thanks for joining us at Stamping sensations this month and good luck!